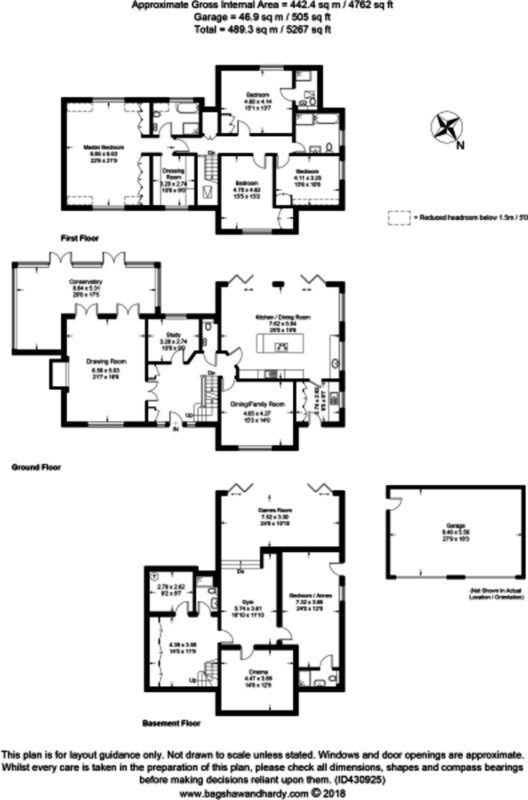 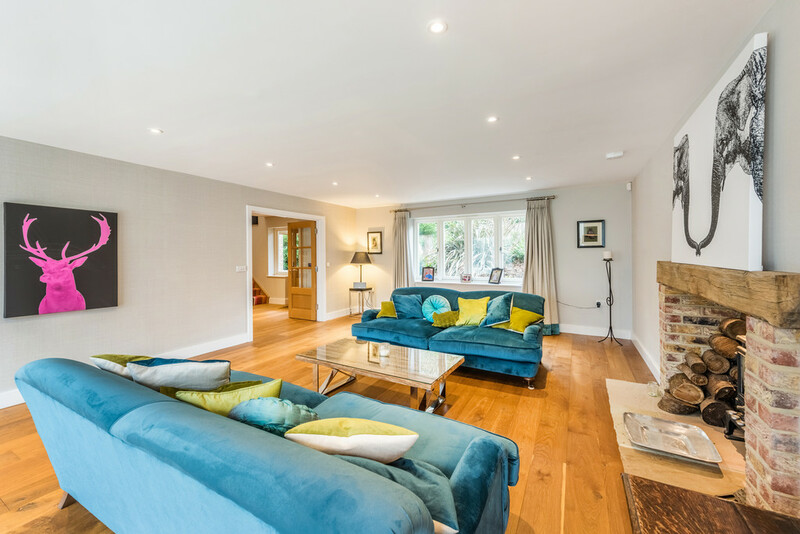 A simply stunning recently constructed family home boasting 4762 sq. 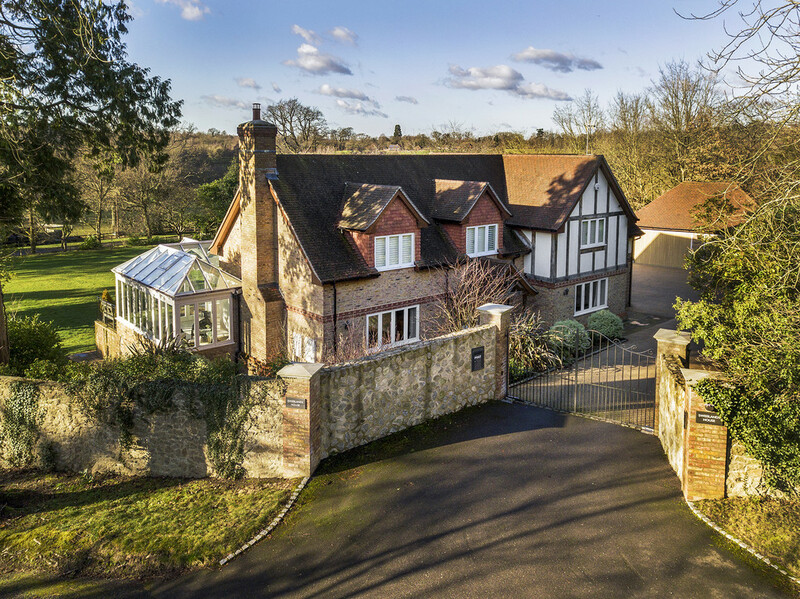 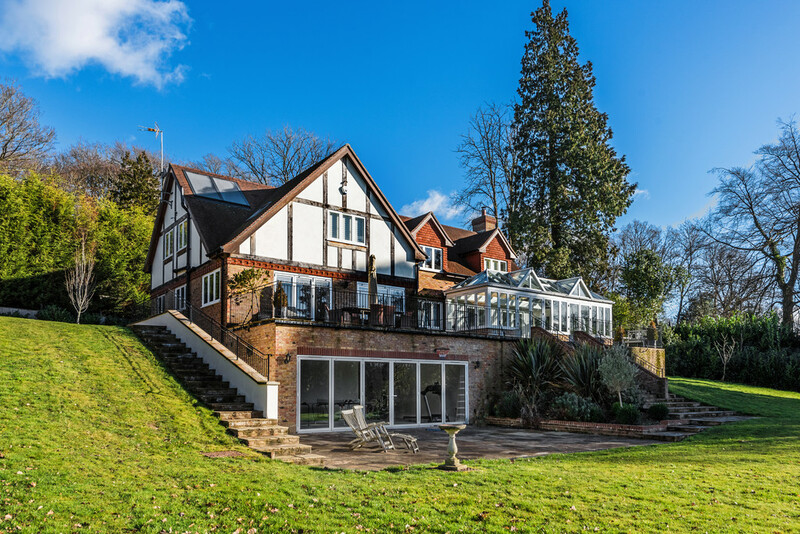 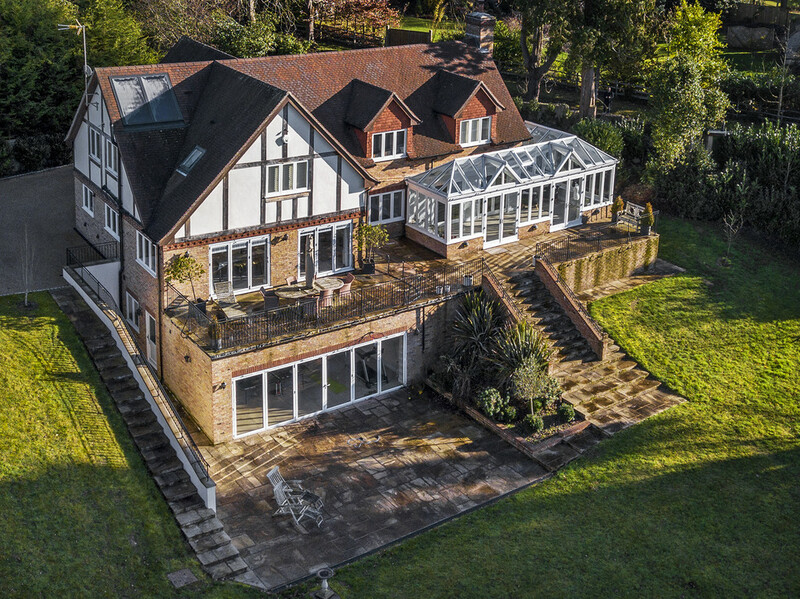 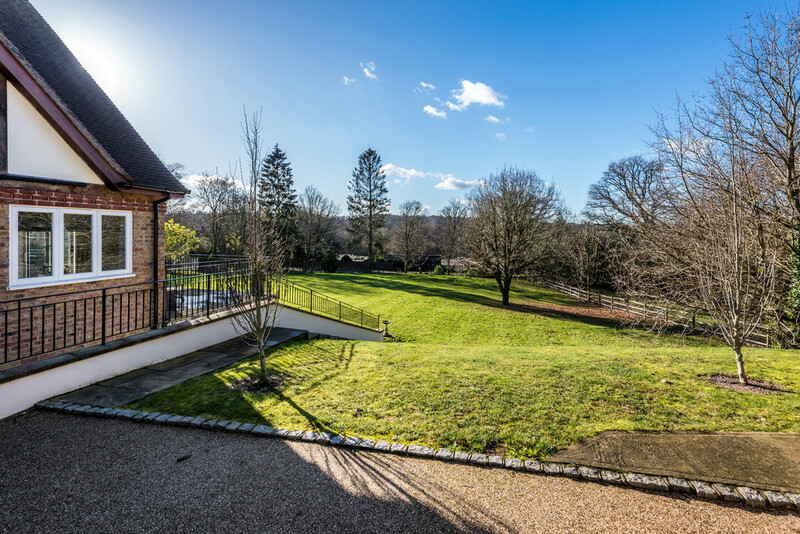 ft. of flexible living accommodation, situated on a fabulous 1.2 acre plot within the exclusive Dormans Park private estate. 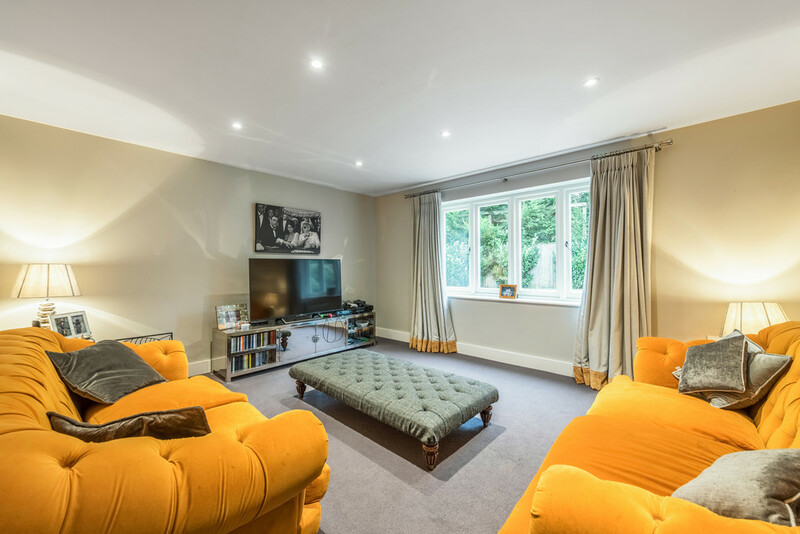 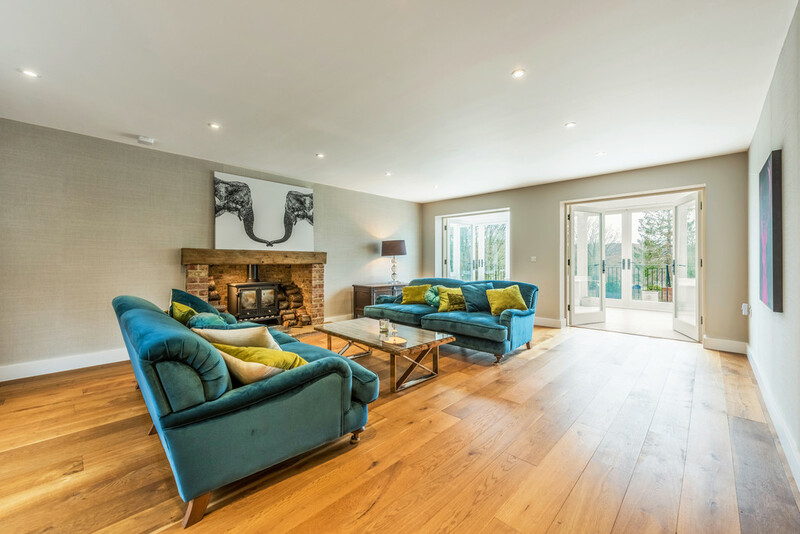 There is plenty to admire about this stunning, recently constructed family home situated on a 1.2 acre plot within the exclusive Dormans Park estate. 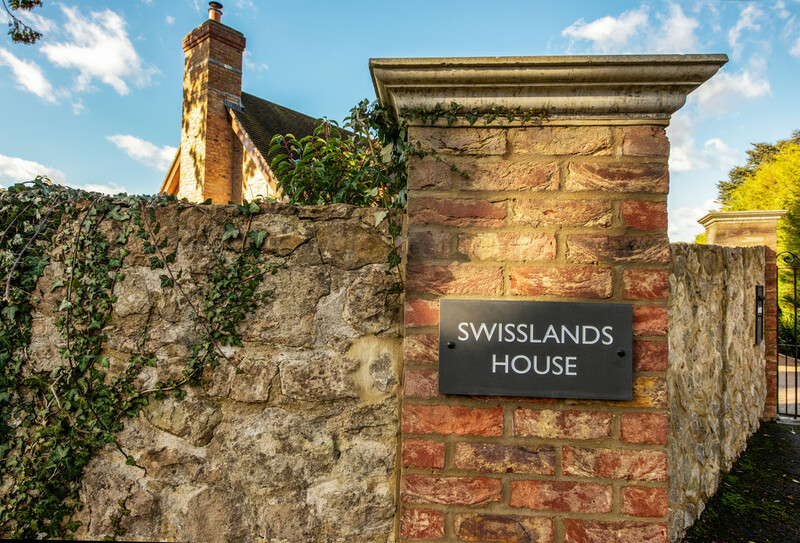 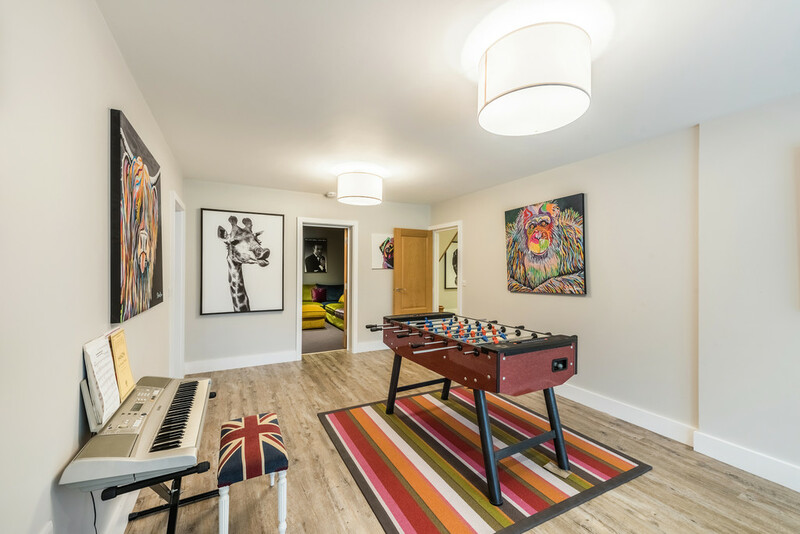 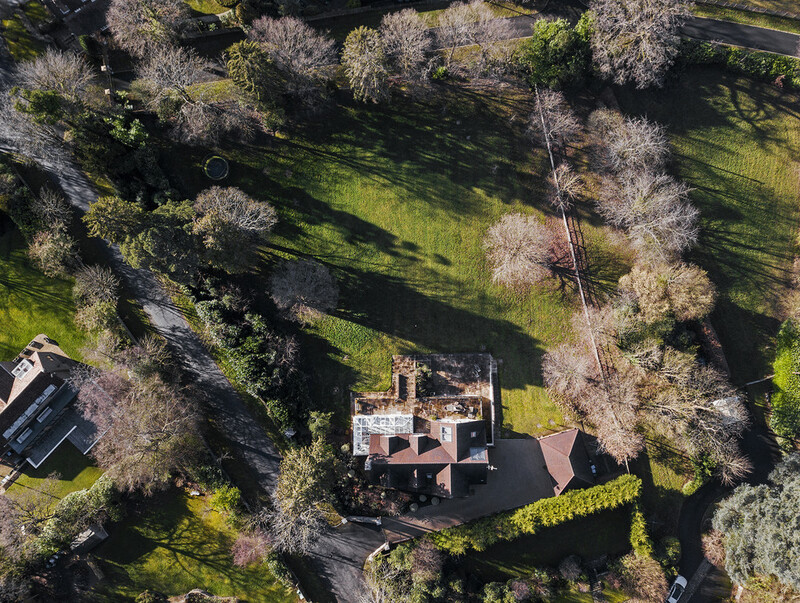 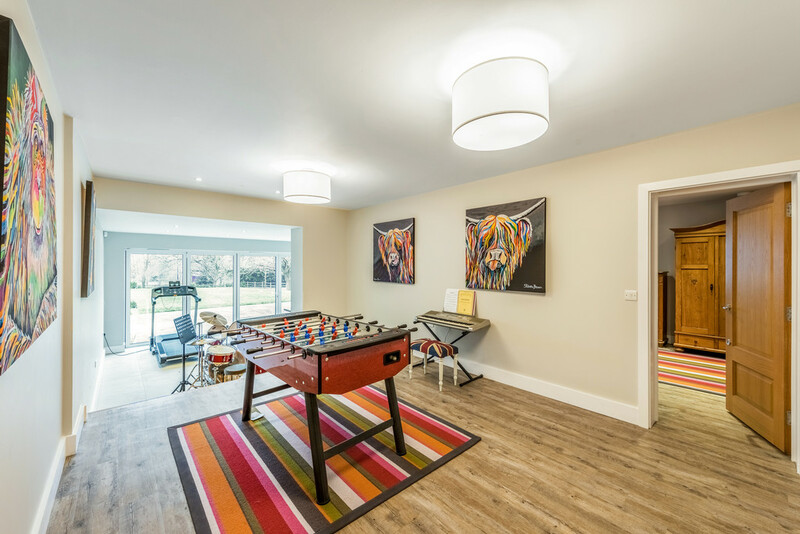 We believe that Swisslands House will appeal to buyers looking for a well appointed, spacious home with the added bonus of having its own leisure/annex floor. 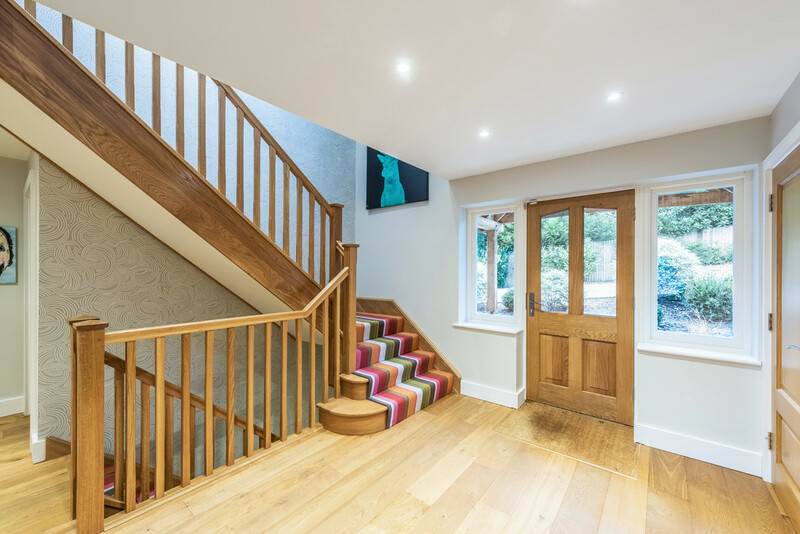 The front door opens into a good sized entrance hallway with oak flooring, two coats cupboard and a cloakroom. 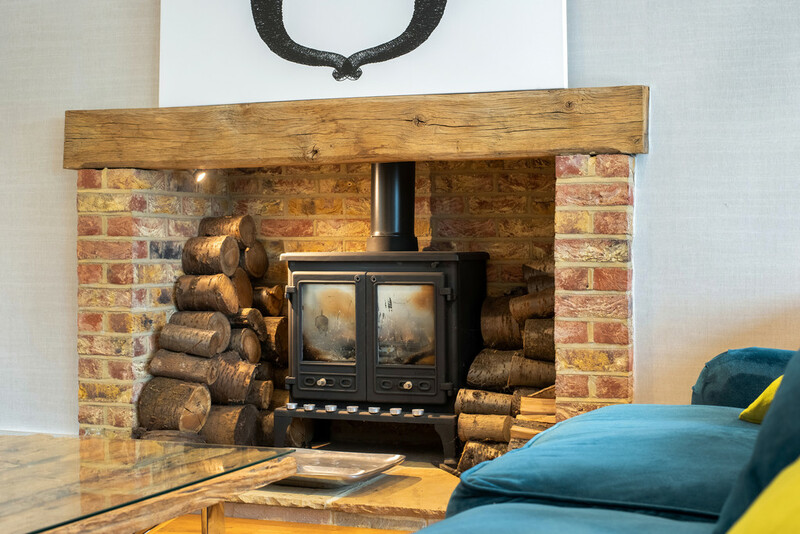 A brick fireplace housing a wood burning stove provides the perfect focal point for the double aspect drawing room. 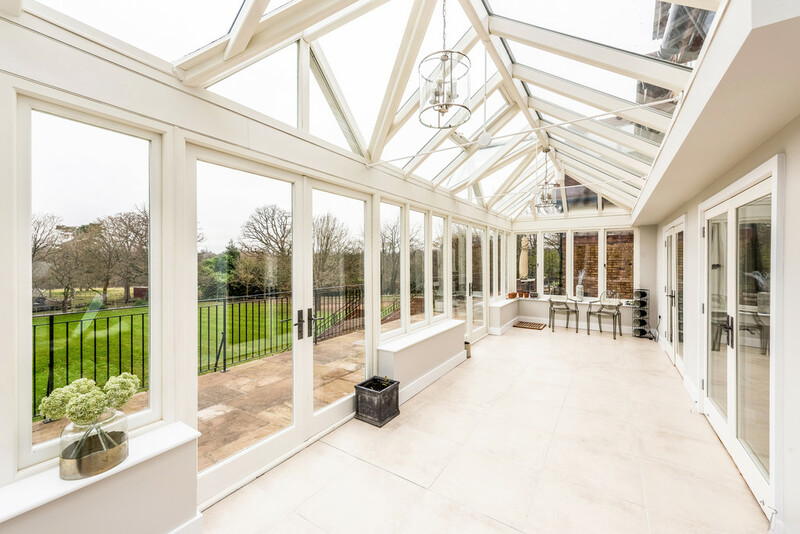 There are two sets of double doors which open to the fabulous garden room which leads to the rear terrace. 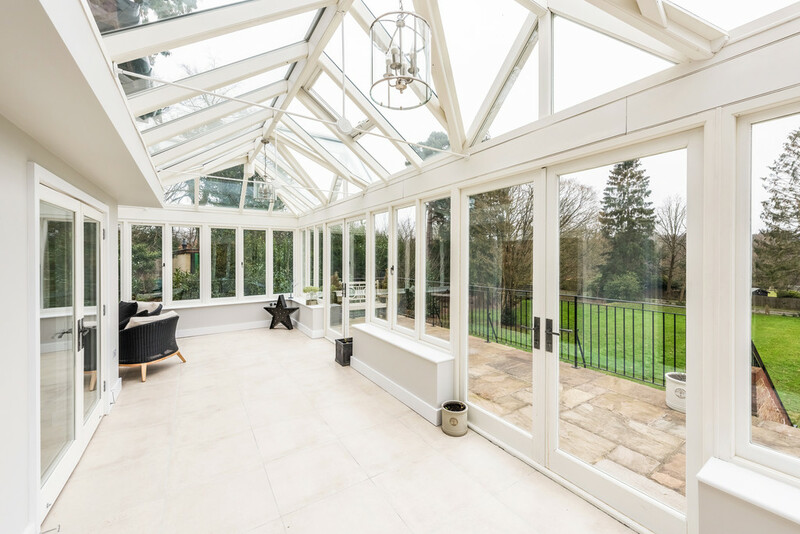 Bi-fold doors also give access to the terrace from the kitchen/dining room which boasts a comprehensive range of base and eye level units. 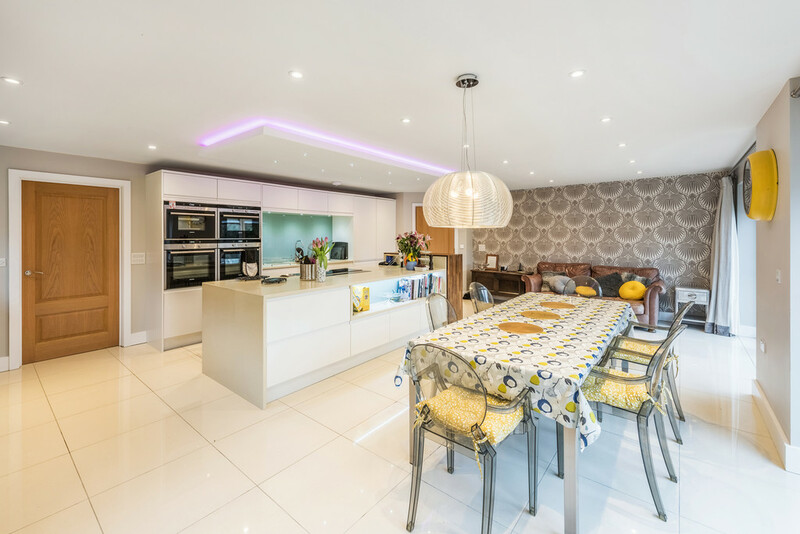 There is a range of integrated Siemens appliances including two ovens, a dishwasher and a full height fridge and freezer. 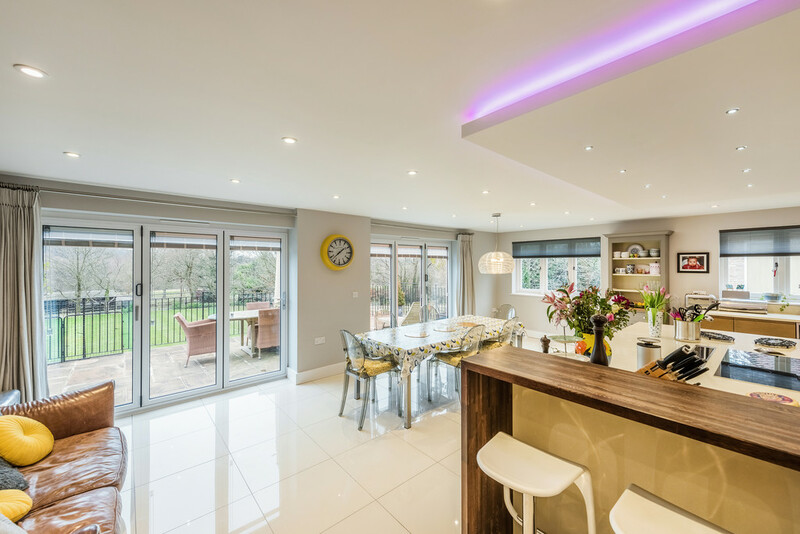 The kitchen is complimented by a utility room which boasts further cupboard space, space and plumbing for a washing machine and tumble dryer and a door to the side. 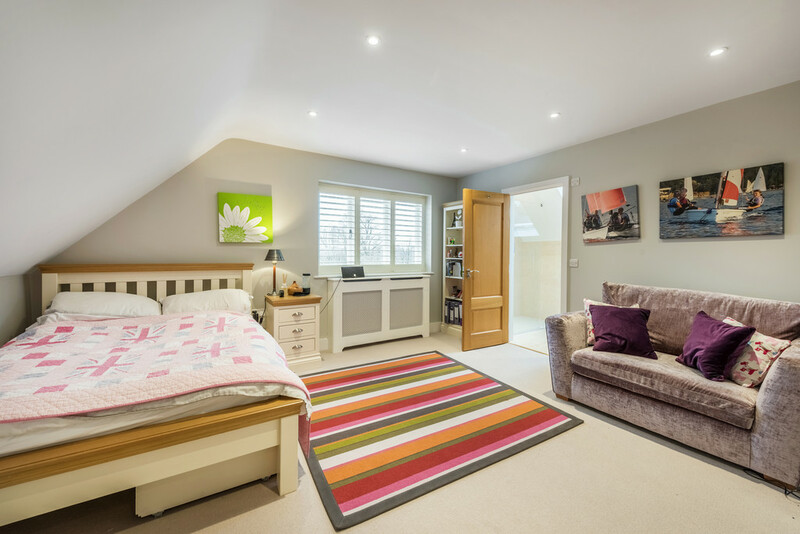 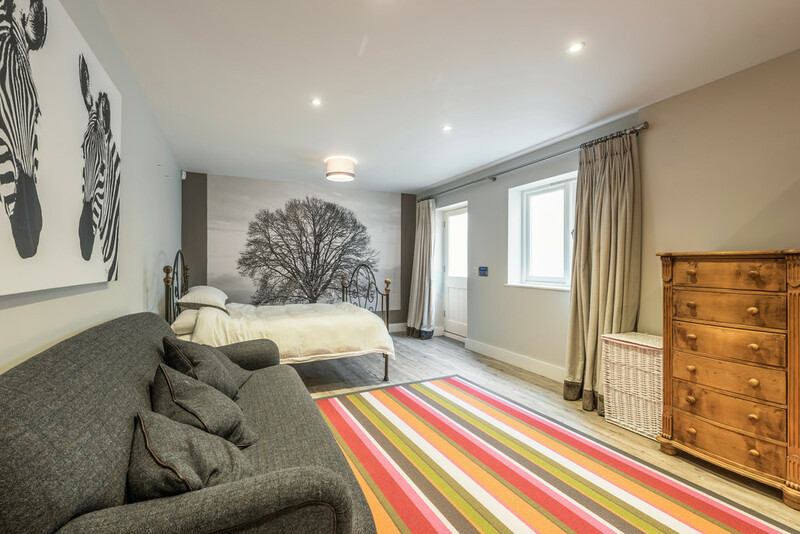 The ground floor accommodation is completed by a study and family room. 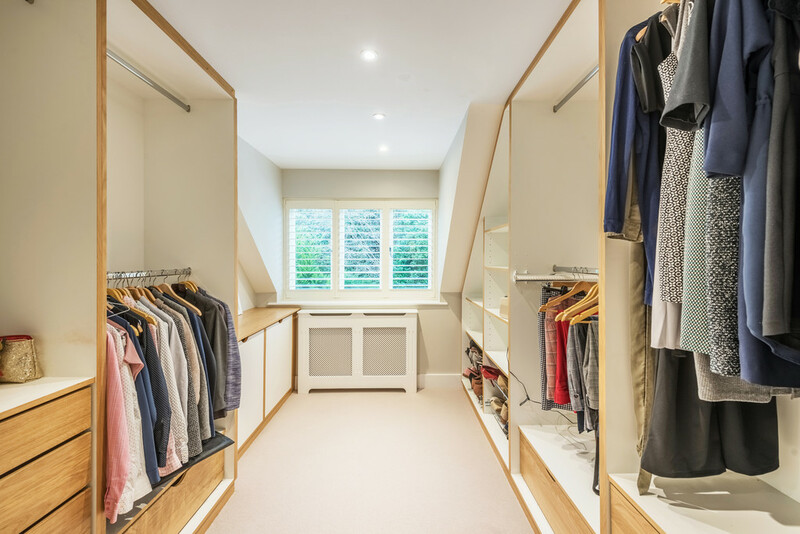 On the lower ground floor, there is a large hallway area with an extensive selection of storage cupboards. 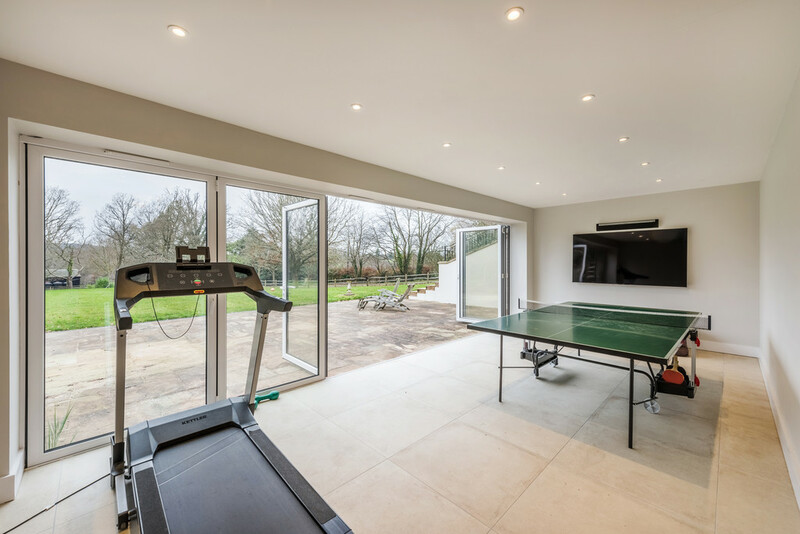 The L-shaped gym/games room is a real feature with bi-folding doors providing fantastic views over the gardens. 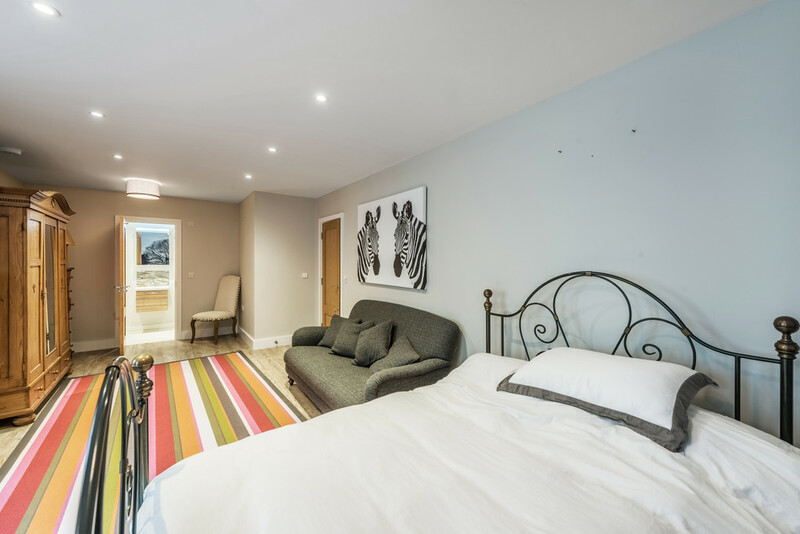 There is a spacious bedroom with a door to the side and an ensuite shower room. 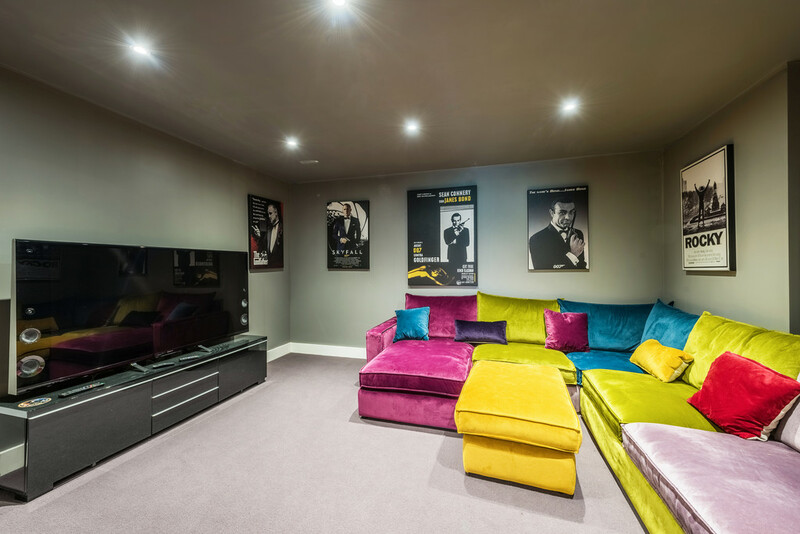 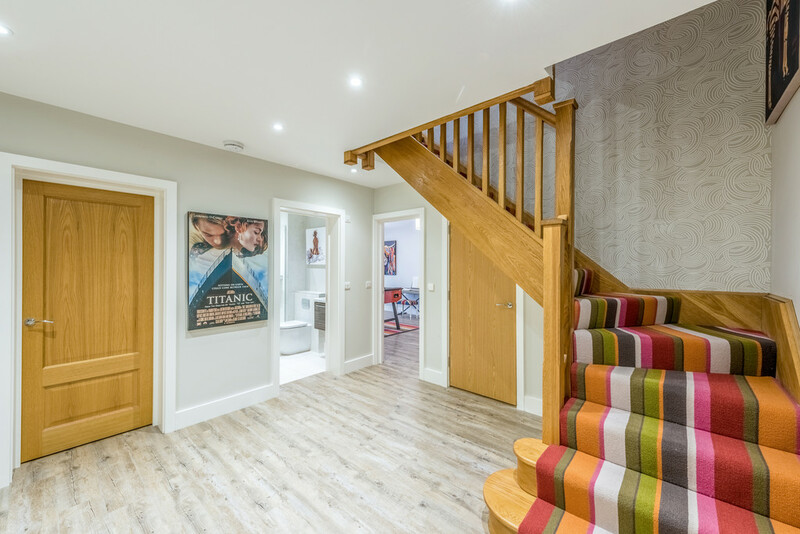 A great cinema room and a further shower room complete this floor. 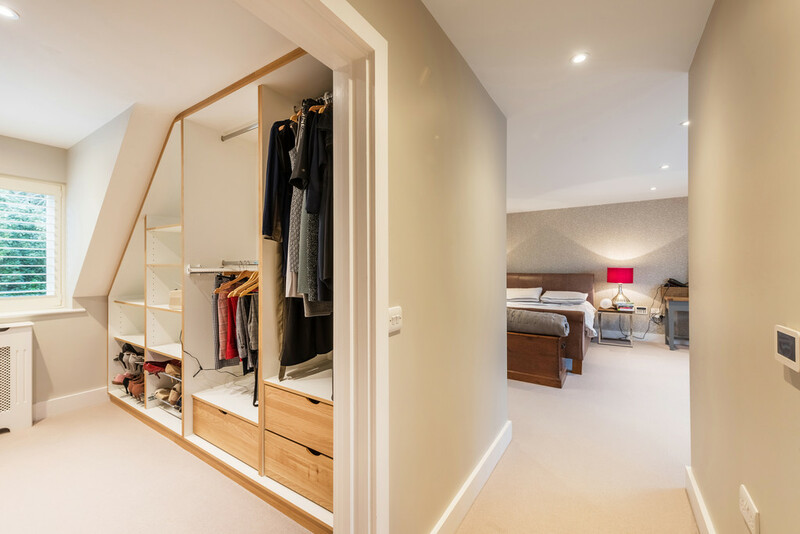 The double aspect master bedroom benefits from a range of built-in bespoke wardrobes as well as a dressing room and ensuite bathroom. 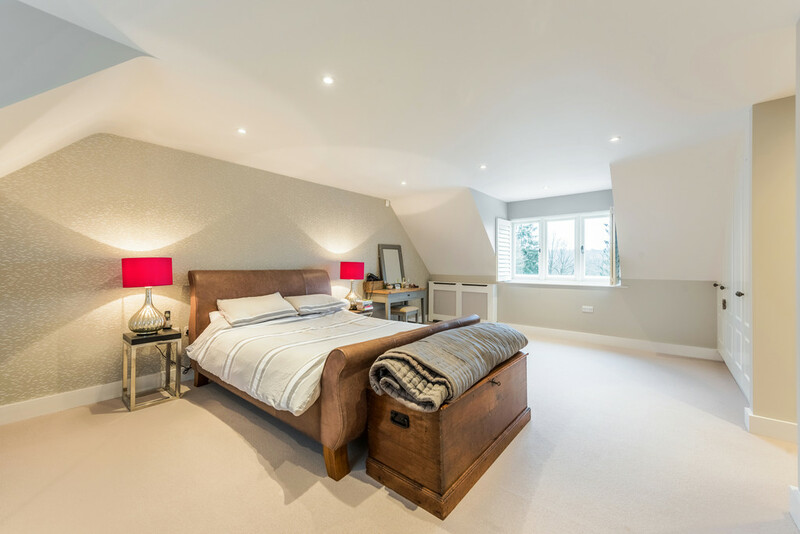 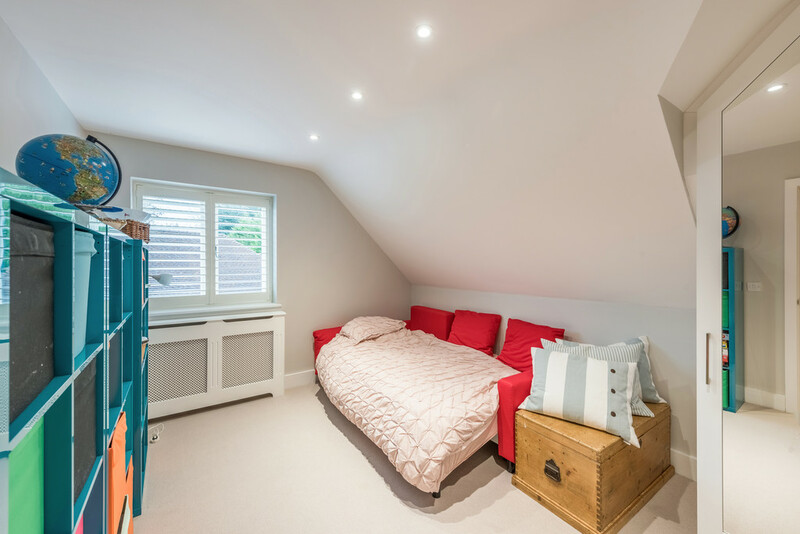 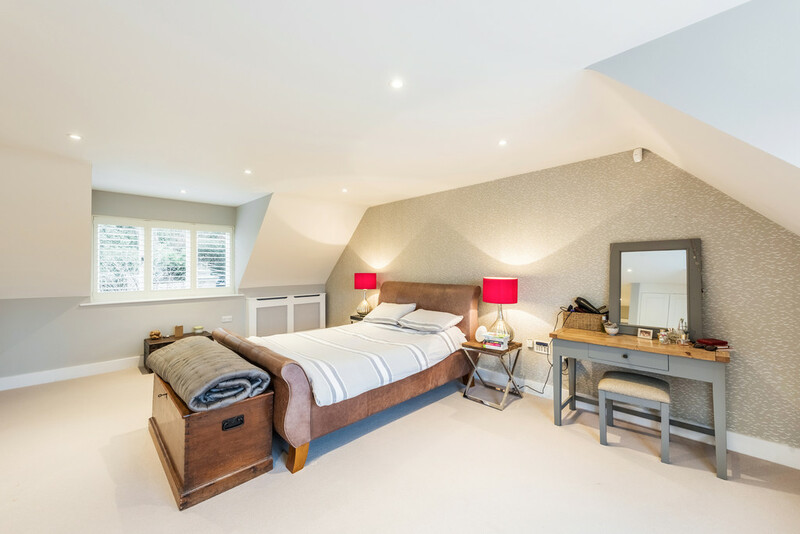 There are three further double bedrooms, all with built-in wardrobes, with one benefiting from an ensuite shower room. 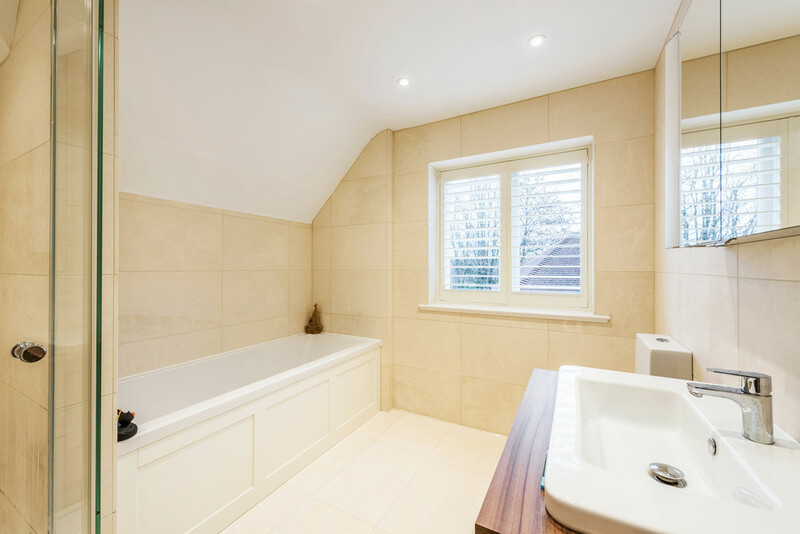 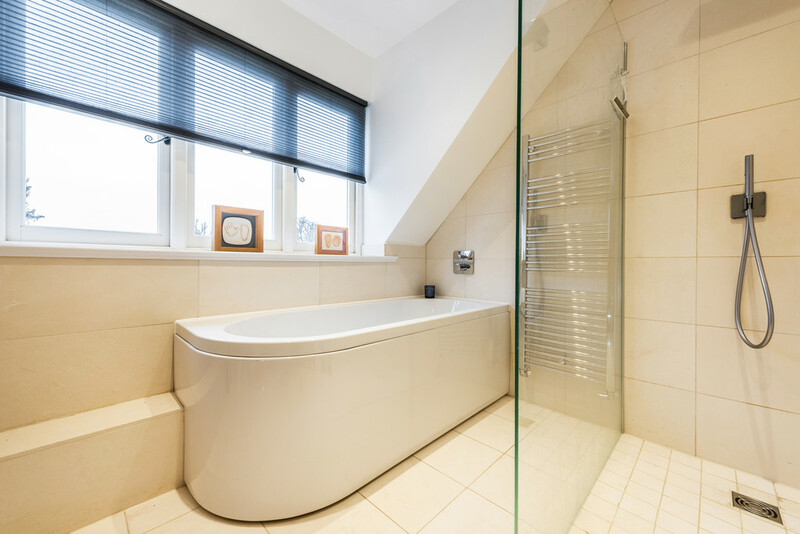 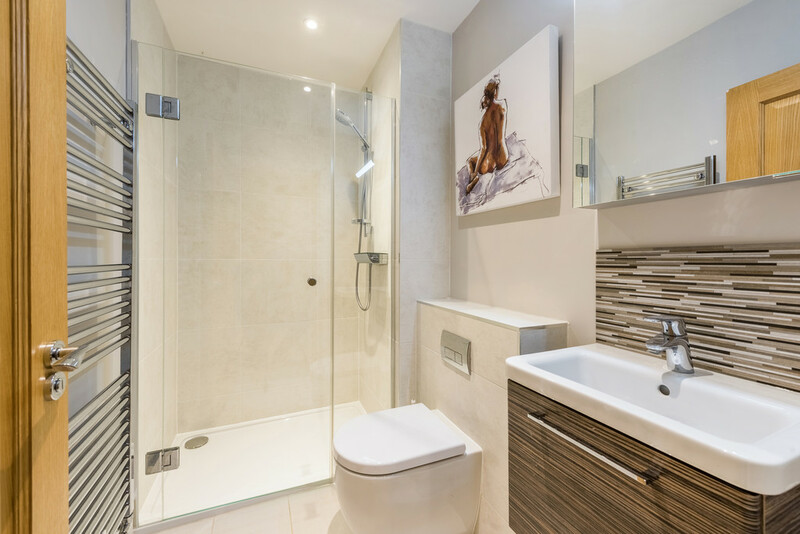 A family bathroom completes the accommodation. 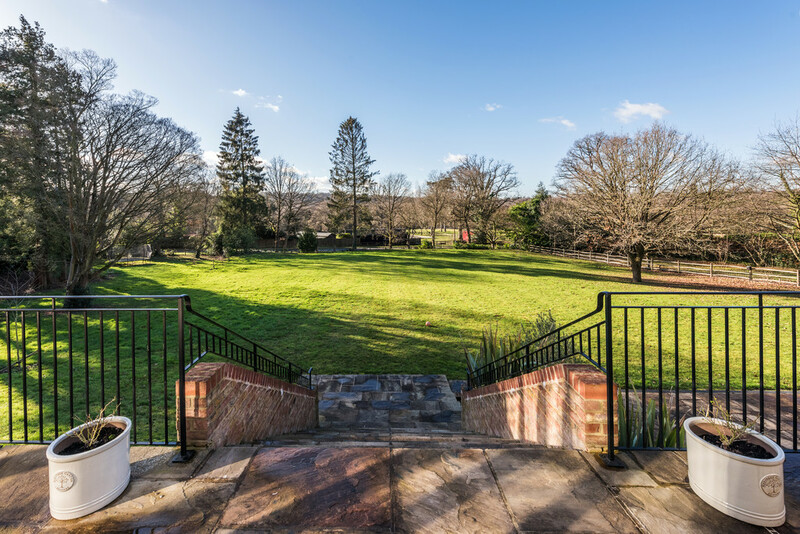 Outside, automatic gates with an entry phone system open to a bonded gravel driveway providing plenty of parking and turning space. 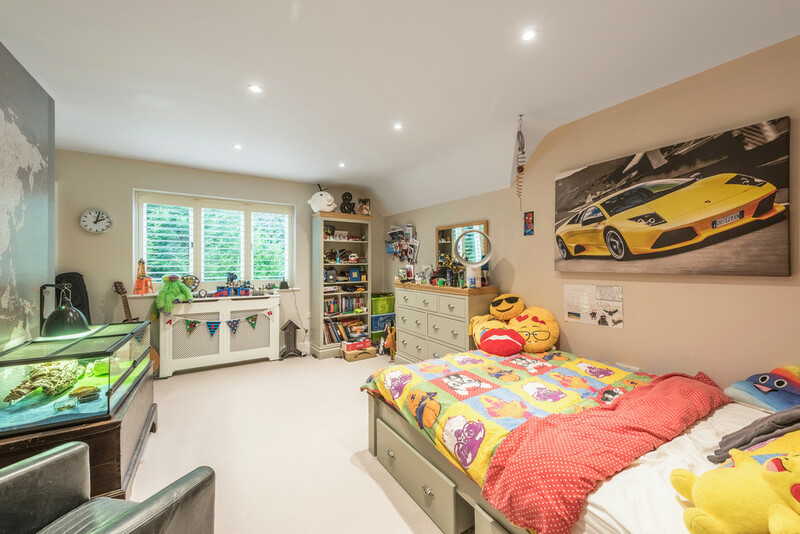 There is a detached double garage with remote controlled doors. 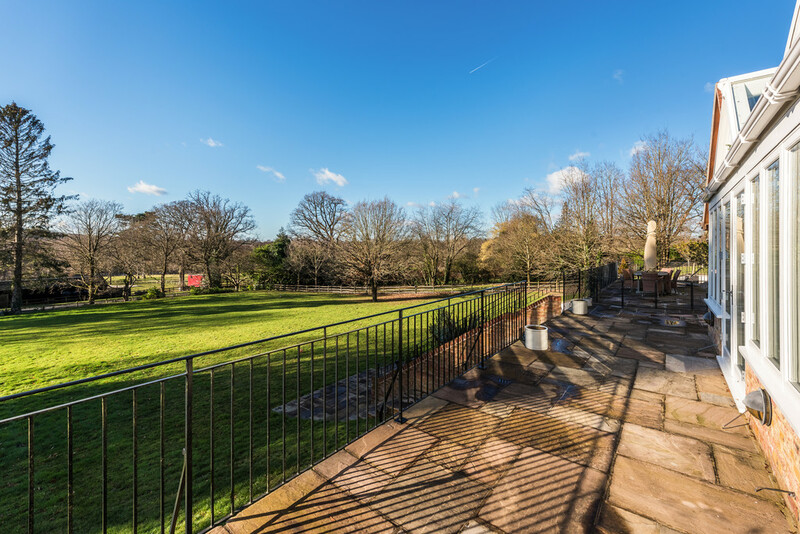 The sunny south-westerly facing rear gardens comprise a natural stone upper terrace which is adjacent to the garden room and kitchen. 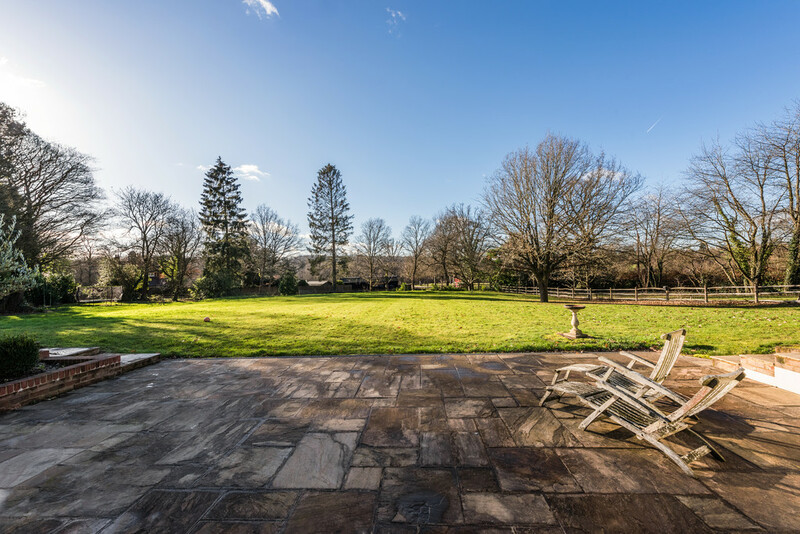 There is also a lower stone terrace adjacent to the lower floor giving over to an extensive expanse of lawn.